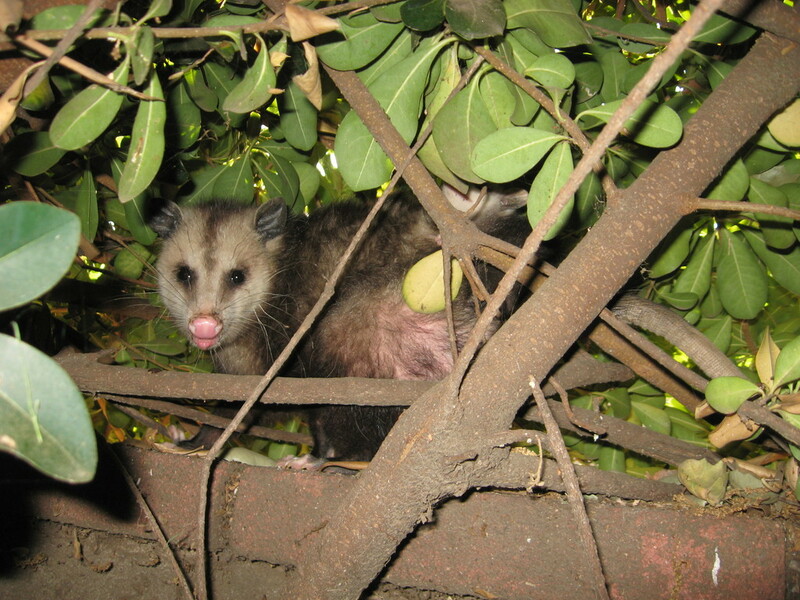 My dogs have a special kind of bark when there is an opossum on our back wall. I think I shrieked a little when I came home to this youngster one night. Oh, and there was the time Rusty brought a dead one into the house while we were out…yeah, possums!